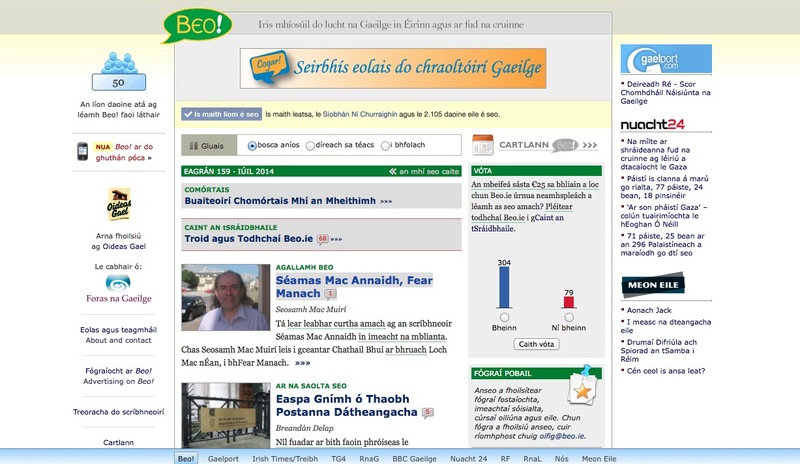 The public have an opportunity to help decide the future of the world’s first and longest-running online magazine in the Irish language, Beo.ie. Publisher Oideas Gael is asking readers to cast their vote in an online poll that poses the question “Would you be happy to pay €25 per year to enjoy a new, independent Beo.ie?”. If you read Beo.ie, or have a view as regards the magazine’s future, it is vitally important that you express your opinion here. A recent decision to withdraw State funding from Beo.ie has been recognised as a major cause for concern in light of the magazine’s unparalleled success in fostering a large, vibrant international community of readers and in providing over 3,000 high-quality articles over the course of 159 monthly editions since 2001. Oideas Gael is very proud of what Beo.ie has achieved to date and seeks to secure a future for this hugely successful magazine. It is necessary, however, to first establish public support for a new funding model. Over the past six months Beo.ie has seen 6-7,000 unique users and almost 30,000 pageviews on a monthly basis. The site received 106,969 hits last year, 3,000 more than in 2012. Approximately 70% of the site’s users come from Ireland with the remaining 30% located in countries across the globe. Over a thirteen-year period Beo.ie has succeeded in establishing a first-class cohort of writers. Articles published on the website are also used in a huge quantity of postprimary schools, third level institutions, and adult Irish language classes in Ireland and around the world. The magazine is noted for providing a unique forum for Irish speakers abroad and members of the Irish diaspora around the world to take an active part in a global conversation. You can cast your vote on the homepage at www.beo.ie. Oideas Gael also welcomes views and proposals from the public at feachtas@beo.ie. Oideas Gael is pleased to announce scholarship opportunities, supported by Foras na Gaeilge, for adult learners attending Irish language courses in Gleann Cholm Cille and An Coimín, Gleann Fhinne, Co. Donegal. Courses are held weekly from now until the end of August at all levels from absolute beginner to fluent speaker. Persons awarded scholarships are required to register beforehand with the LÍOFA 2015 scheme, which can be done simply here. Priority in the selection process will be accorded to those who have not previously had the opportunity to study Irish while at school, or lack the means of attending courses without scholarship assistance. Applications are invited by telephoning Oideas Gael at +353 74 97 30248 or by contacting the office via e-mail at oideasgael@eircom.net. Oideas Gael wishes to thank Foras na Gaeilge for scholarship funding. Earlier this year National Geographic named Gleann Cholm Cille as one of its Top 10 Historical Sites on the island of Ireland. This remote village in County Donegal is home to numerous megalithic tombs and early Christian sites, as well as the Folk Village Museum depicting furnished thatched cottages from different eras. The best way to learn about the 5,000 years of history here is to attend the weeklong archaeology school offered in August by Oideas Gael and led by eminent archaeologist Michael Herity. This year’s school is directed by Emeritus Professor Michael Herity, MRIA, with Dr. Brian Lacey and Dr David MacGuinness. For the first time, we will have three major course contributors who will offer their respective insights as to the Early Christian history of Gleann Cholm Cille. Last year, the Summer School was a finalist in the National Heritage Week Event Awards. 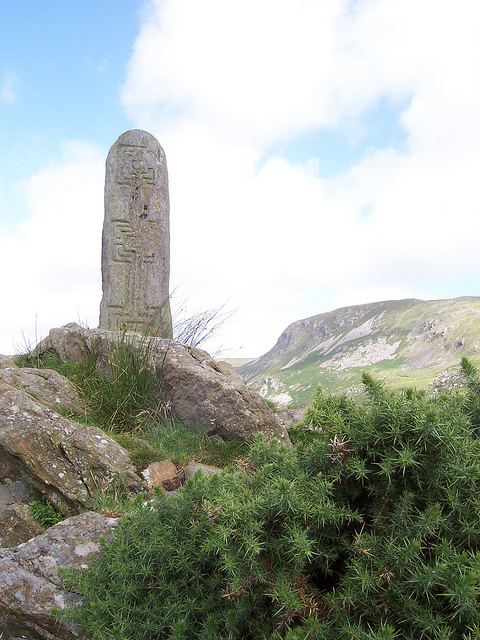 This year’s School is concerned with the life and traditions of Columcille, and the ascetic lives and the mission of early Christian hermits in remote places and on the lonely offshore islands of Ireland and Scotland, from Clear Island and Sceilg Mhichíl in Cork and Kerry to Rathlin O’Birne and Tory and on to Iona, the Papa Isles and the Faeroes. 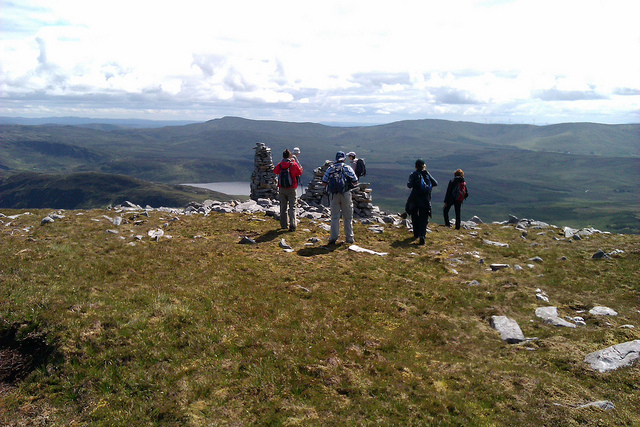 This course is devised for adults with an interest in field studies. No previous knowledge is required, merely a serious interest in the theme and a desire to participate actively in sessions in the field observing the evidence of the monuments and their context. Over the past 29 years, thoughtful, observant students have experienced the pleasure of discovering new insights for themselves. You can find the full course details here. Remember you can always e-mail us or contact us via Facebook or Twitter. A leading traditional musician presents an ‘Exploration of Irish Music’ through the flute and whistle, with tuition for beginners and improvers. Workshops will also explain the development and progress of Irish music up to modern times. Music tuition: A number of daily practical sessions learning simple tunes and dances on the tin whistle and flute. Regional Styles: A musical tour of the country which will focus on the different styles of each region. 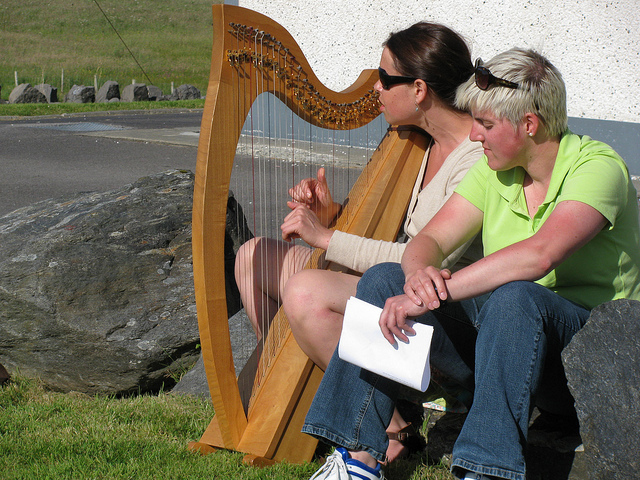 This course is aimed at beginners and improvers, who are interested in acquiring a basic introduction into the origins of the Irish harp tradition while enjoying the group sessions, learning Irish melodies and accompanying some Irish songs. Beginners will be involved in an enjoyable way of acquiring an introduction into the playing of this traditional Irish instrument while having an opportunity to learn and perform Irish Melodies with other musicians. Improvers will increase and share their musical repertoire, enjoy playing with other harpers while improving their technique. Oideas Gael will have a limited number of harps available for participants, providing that we have received prior notice.